In Manhattan, Craig Mellow is the toast of the literary world, a young writer whose bestselling novels and larger-than-life adventures are fueled by natural-born charisma. But Craig lost a limb and a legacy in Africa. And his heart still clings to the land. A representative of the World Bank recruits Craig to return to his war-torn homeland--to use his knowledge of Zimbawe's people, languages, and wildlife to stabilize its future. 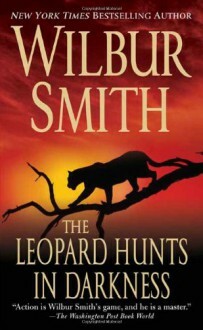 But once he sets foot on the continent, Craig cannot resist what runs in his blood… Soon, this scion of a legendary family is caught in a new era of massive ivory poaching, of tribal warfare waged with modern killing tools, and international politics hardwired directly to Washington and Moscow. With a woman by his side and a traitor behind his back, Craig is about to learn a lesson of a brutal new age--if he can survive Africa one more time.